Northampton Town have signed Fleetwood Town defender Ryan Cresswell on a three-year-deal for an undisclosed fee. Cresswell began his career at Sheffield United and had loan spells at Halifax, Rotherham, Morecambe and Macclesfield before joining Bury in July 2008. The 26-year-old then went on to play for Rotherham and Southend before Fleetwood signed him in July 2013. 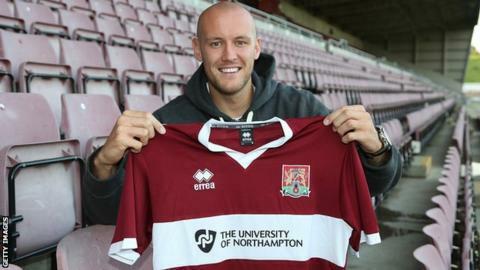 "I am delighted to sign Ryan," said Cobblers boss Chris Wilder. "He is a quality defender at this level."